A white-throated sparrow is almost hidden. This beauty whistles, "Old Sven Peterson, Peterson, Peterson." 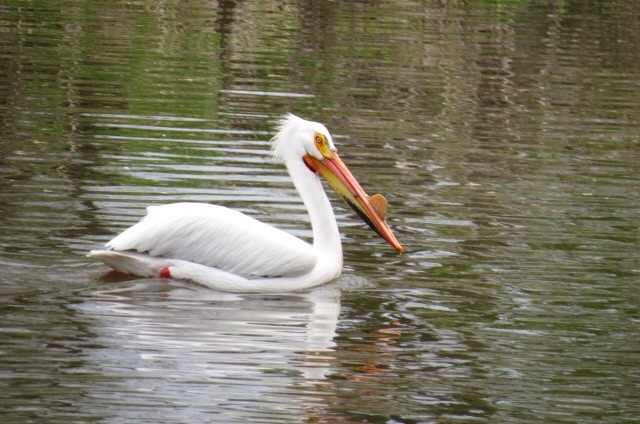 A nuptial tubercle on an American white pelican. This is a fibrous plate on the upper bill that falls off when the mating season is over. The bird's crest turns gray at that time.